Heavenly Quartez will celebrate their ten years together on the 30 June. They will get together in Khayelitsha to present a concert with the Cape Town Philharmonic Orchestra, soprano Goitsemang Lehobye, and Western Chorale under the direction of Chad Hendricks, winner of the Third Len van Zyl Conductors’ Competition with stage direction by Aviva Pelham. 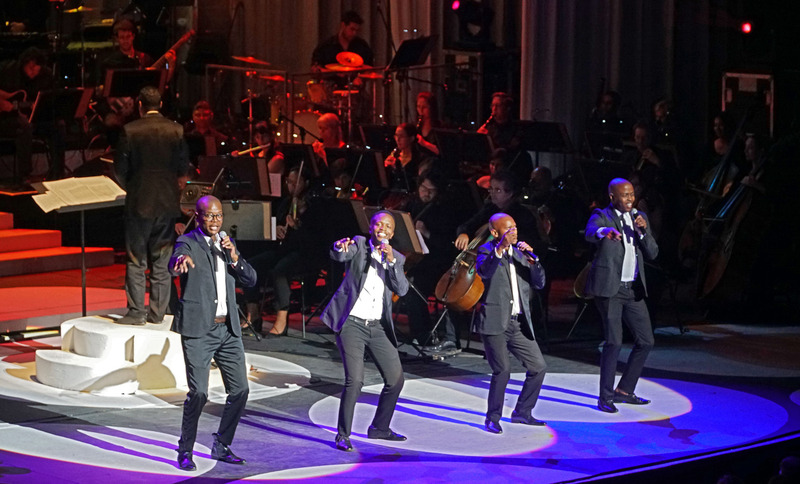 The popular programme will span all orchestral genres, from opera to classical, pop and crossover in English, Xhosa, Italian, German and Afrikaans. Works include the well-known Brindisi Chorus from la Traviata, Nessun Dorma, an African Medley, Lloyd Webber’s Love Changes Everything and Time to say Goodbye, and Unchained Melody. The concert takes place at the Salvation ChurcH, 34801 Crescent Hlanga, Makhaza on June 30 at 16:00. Tickets are R100 / R150 for VIP tickets and are available from Computicket.